Warning: If you've been on my e-mail list for a few weeks, you've likely come across this content before. If not, this is the kind of content I send every week, and you should totally sign up! 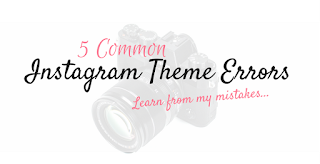 Click the banner below to join in, and grab your FREE 15-DAY INSTAGRAM CONTENT PLAN! Done that? Awesome! Let's jump in. Alright, for the longest time, we've been told that openly admitting to being an expert at what we do is immodest. That praising our own skill is conceited, and purity only lies in not knowing how good we are. See how ridiculous it sounds when you put it down in words like that? Think about the top 10 wealthiest households in the world. Why are they so wealthy? Think about famous actors, authors, designers, musicians - what do they all have in common? The answer is simple - they know exactly how good they are. More importantly, they aren't afraid to flaunt it. They believe in their personal brands. 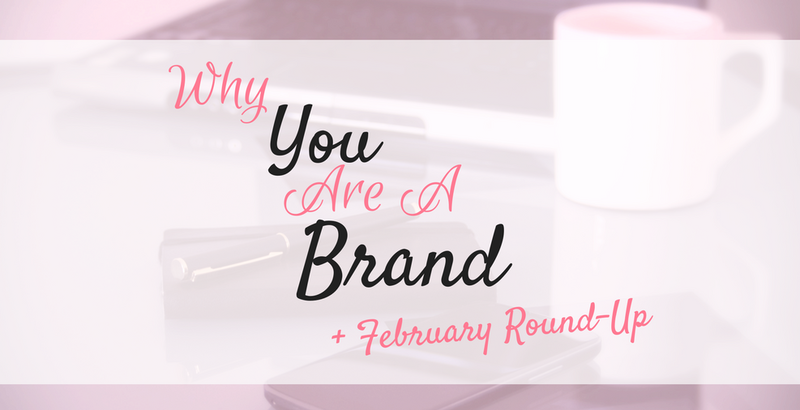 And you're no different, you have a personal brand too - it is made of all the experiences you've had, the decisions you've made, and the situations you've lived through. Your brand is in the way you walk, talk, carry yourself, and react to anything. It is in your perspective and in your instinct. So tonight, I want you to take 5 minutes before you go to bed, and think about what your personal brand is saying about you right now. It is so important to know what you're capable of, before you can strive to be even better! Why is it so important to know all this philosophical stuff? 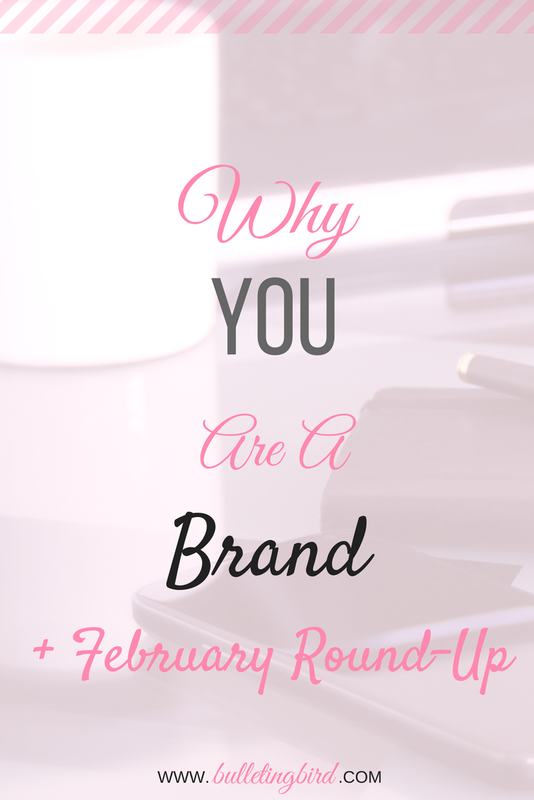 Here's the thing: your personal brand has massive implications on the work you do every day. It changes the world just a little bit in each moment. You need to consciously know exactly how you're doing this! but to get people to notice your work and identify it as yours. I'm honestly so excited to be bringing you this new series, because personal branding is my absolute favourite topic to play with! That's right, I said play - that's because my personal brand is playful! Don't worry, we'll figure out your personal brand attributes too, so stay tuned for that! Best way to be in the loop? Yup, you guessed it, come get on the e-mail list! Not only will you get updates about everything you need to run a super successful, productive, creative business, my awesome welcome sequence is punctuated with freebies and information that (I'm not even being funny) have honestly brought me so much engagement from my readers! Alright let's talk a little bit about February now. 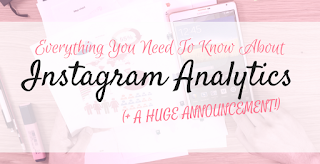 This month, we talked about Instagram traffic, what that means for you as a creator, and how to go about leveraging it so we can retain our audience, even if Instagram shuts down one day! Your (own) e-mail list, why the heck you need one, and all the basics you need to know. A lead magnet + a FREE list of 50 lead magnet ideas! 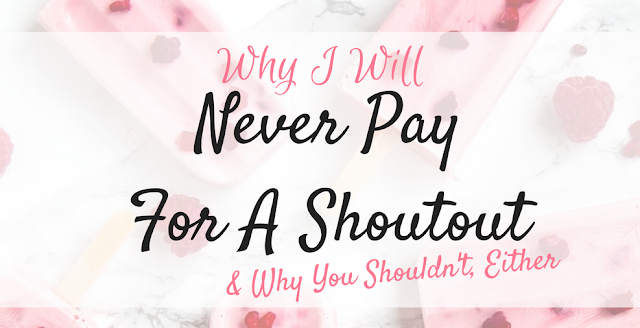 A rant about why I'll never pay for a shoutout, and why you shouldn't, either! 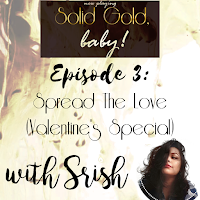 This month, our podcast, 'Solid Gold, Baby' really took flight, and I honestly can't thank you guys enough for listening to it and telling me what you think! Sure, we had a bit of a bumpy start with the pricing, but I'm so in love with creating and sharing these with you, you have no idea! Not sure what I'm talking about? Click the banner below to listen to full-length episodes! The Instagram account crossed 3000 followers! The website crossed 15,000 views!! The Podcast received its first couple of Patrons! Gahhhhh you guys, I have literally no words to say, except thank you! You always make me feel better on a bad day, and you always make every good day great! Thank you so much for sticking with me and this blog through the months, and I'm honestly so excited to go into March together! If you like this post, it would mean the world to me if you could share it with your friends! And finally, because you made it this far into the post, here's a literal happy cotton-ball that loves you as much as I do! Thank you so much for reading, and I'll see you guys again very soon! Check out all of February's posts! Ask Yourself THESE Questions To Find Your Purpose In Life! Today, I'm sharing with you five questions you can ask yourself that I guarantee will help you understand the ever-elusive purpose of you life, i.e. why the heck are you here?! I know, because they worked for me! Check out the FULL LENGTH EPISODE + ALL OTHER EPISODES FOR LITERALLY JUST $1 BY CLICKING THE BANNER BELOW! That's totally cool, check out the mini-sode below for free, although I honestly think the full-length episode will help a lot more! Like what you hear? Remember to check out the full length (i.e. 30-minutes each) versions of every episode ever for literally just $1! No joke! Wanna hear me talk about something specific? Leave a request in the box below! And, as always, tell me what you think of this episode over on Twitter, Instagram, Facebook, or via e-mail! Thank you so much for listening, and I'll see you again next week! As you've guessed from the title, this is going to be a slightly controversial post. And if you've been growing a steady following on Instagram (or on any social platform, for that matter), you've probably faced this conundrum already, or you're about to. The second my Instagram account crossed about 700 followers, I began getting regular DMs or e-mails from all these big accounts asking if I'd like to pay for a feature, and that I'd get a hundred or so "genuine" followers instantly, and every day after the feature. They've all claimed these are actual, real people, who are totally not going to follow every featured account for clickbank dollars, and that they'd genuinely be into my content, even though the featuring account has no niche whatsoever. Alright, let me begin by saying I'm in no position to take a moral high ground. I don't consider myself pure and 100% altruistic, I'm not. 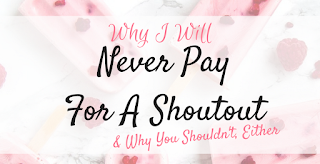 So in this post, I'm not going to try and convince you of the moral reasons why it is "wrong" to pay for a whole bunch of followers. What I will do, is try to logic you out of wasting your money. "we're @XYZ and we love your clicks, for $$ we can shout you out. Immediately, new followers will swarm to your account and like every one of your photo and cry because they're so happy to discover your account so let us know how much you want to pay thanks." Let's first break this type of message down (warning for some serious shade!). First off, I know nothing about you. I know nothing about your account. You have literally never engaged with any of my posts, and only rarely will you ever even have followed me. So how on Earth can you claim to 'love my clicks'? Secondly, if you do like my posts so much and feel like your followers will actually, genuinely enjoy them, how come you've literally never posted a single photo relevant to my niche? Here's what irks me about such "offers": if I wanted to pay for a bigger audience, why wouldn't I just run an Instagram ad which is far more targeted to people who might actually love my content? What good is it to me, to pay you ten times the amount, and get exposed to an audience that literally doesn't care whom they follow?! Now if that ain't a generic response to something they've probably had to answer a thousand times, I don't even know e-mail marketing. No shade to the nice person who wrote this e-mail, I'm sure you're excellent at what you do, and given your prices, I'm sure you make far more money out of it than I ever have. The way the Instagram algorithm works, as a user, accounts that Instagram suggests for me to follow are based on other accounts I'm already following. In other words, if I'm being followed by random accounts who couldn't give two hoots about my work, my work will be suggested to more random accounts who equally don't care! Not only does this dilute my follower base and get rid of any engagement I may have had, thanks to Instagram's non-chronological feed algorithm, it also reduces my chances of being seen by other people in my genre. Think about it, if Instagram decides it will suggest my account to a hundred people today, based on my existing follower base, and my existing follower base is 80% irrelevant (possibly spam/bot) accounts, most of those suggestions will be sent out to similar irrelevant/spam/bot accounts. Sure I might instantly get a flood of new followers, and if I only cared about numbers, that'd totally work. But what about the next day, when I'm trying to poll my audience, or get their feedback on something, and all I have in response is a "good one!" comment with a thousand fire emojis? What the hell do I do with that!? And here's the kicker: if the feature account is associated with a click-bank, regardless of whether they admit it, these "genuine" followers are probably making a few cents off of double tapping on my photos. Not to mention that the feature account itself gains a new follower-base because my niche has been added to their jumbled mess of a feed. And then, they approach a new target audience, using my example, and get paid to feature yet another account. Literally everyone is making money off my content in this equation. Everyone except me. So no, I don't want your 100% genuine followers the second my Paypal payment goes through, because my follower count means nothing to me without there being actual people behind them. I don't want your number, no, and I don't wanna give you mine. So there we go, there's my rant which I'd hoped wouldn't be a rant but turned out to be a rant. I realize a lot of my posts feel non-committal and too vanilla, so here's a bit of personality for ya! What do you think of opinion posts like this one? More? 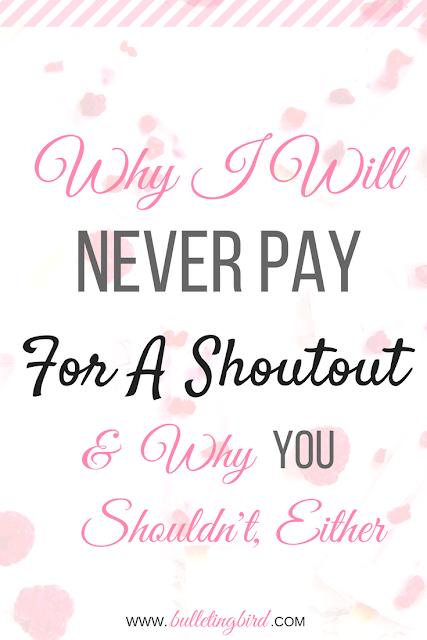 Tell me in the comments below, or over on Instagram, Twitter, Facebook, or via e-mail (but if you're going to e-mail me about buying pageviews for this post, please don't expect a reply cause....well....read this post!). I love hearing from you non-spammy, non-bot peeps! 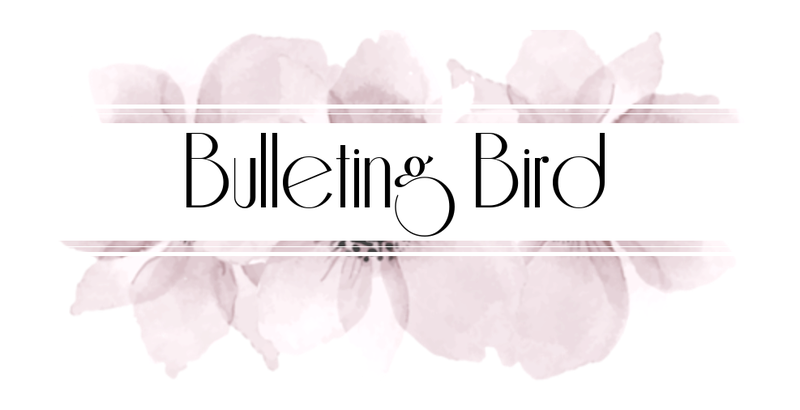 As always, thank you so much for reading this post, and for more opinionated chat, remember to check out my awesome podcast at the banner below! I love you guys, and I'll see you again soon! 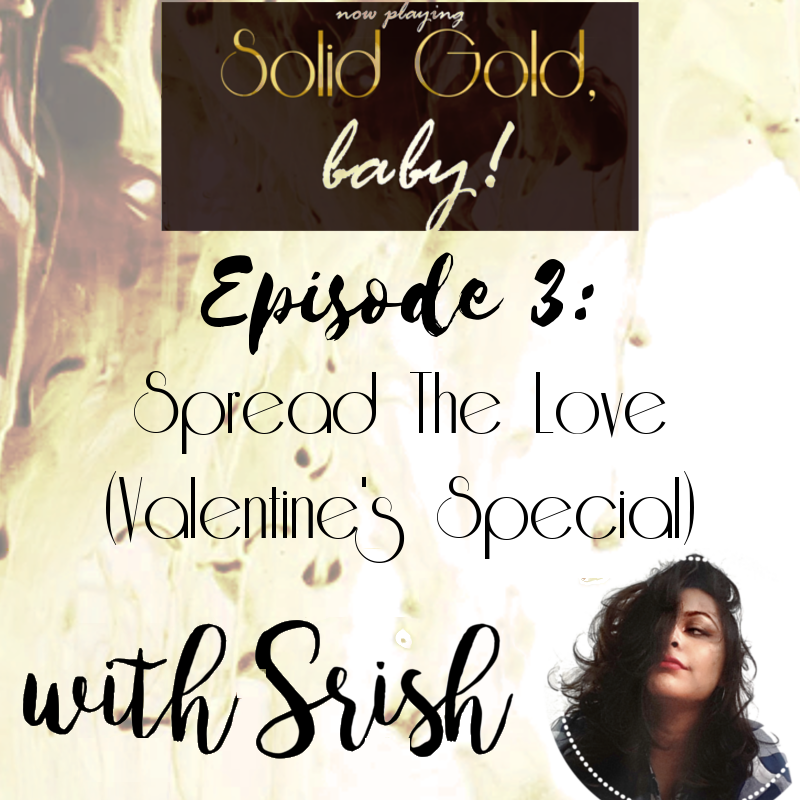 On today's super special episode, we're talking all about spreading the love with our audience, why we absolutely NEED to, and all the many ways in which we can show those readers just how important they are to us! On our first ever episode in the new format, we talk all about why it is absolutely crucial to show your audience some extra TLC once in a while! LISTEN TO THE FULL LENGTH VERSIONS OF THIS AND EVERY OTHER EPISODE BY CLICKING ON THE BANNER BELOW! Have you listened to the last couple of episodes? Check them out! Thank you so much for listening, and I'd love to know what you thought of this episode! Drop me a line over on Instagram, Twitter, Facebook or via e-mail! And I'll see you again next week with yet another episode! What the heck is a Lead Magnet? 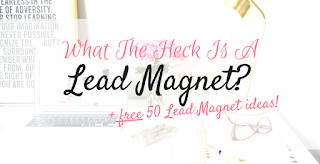 + FREE list of 50 Lead Magnet ideas! There is no right or wrong way to solve a problem, and so there is no right or wrong type of lead magnet - instead, think only about how you can best help out with this issue! 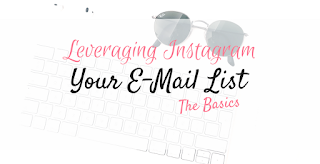 Last week, we spoke all about your ever-important e-mail list, and how you can leverage your Instagram traffic to get in touch with your followers on a much more personal level. In this week's podcast, about showing your audience some highly-needed TLC, I break down the very basics of your lead magnet, and why you need one! If you haven't already, check it out at the banner below, you get an all-access pass to every single full-length episode + transcript + freebie for literally just a dollar! Click the banner below and give it a listen! So to sum up what I've been saying for a couple of weeks now, your lead magnet is what drives your fans to sign-up to an e-mail list, or join a Facebook group, or take action on what you want them to do. For instance, my current lead magnet is a FREE 15-day Instagram content plan (which you can grab at the banner below, by the way 😉) for everyone who signs up to my main e-mail list. But here's the thing: you don't have to limit yourself to a single lead magnet! In a lot of my old posts, I gave away relevant workbooks/checklists as a secondary entryway into my mailing list. Plus, my free e-mail course, Winstagram, is yet another (elaborate) lead into my e-mail list! Now each of these leads is incredibly valuable on its own, with or without entry into my e-mail list. They solve real-world problems, and help several different types of readers. Here's a common mistake I see a lot of new bloggers and influencers make, when they're starting out with a lead magnet: they see their freebie as a perk for their followers, in addition to their newsletters. The freebie is given out as an "additional benefit" to joining their e-mail list. However, I like to do it a little differently, and I'll tell you why. The way I see it, access to my weekly e-mails is, in fact, the perk of having grabbed the freebies! Let's face it, when someone grabs a freebie, they might not always look to build a full-fledged connection with you. But the good news is, they're curious. When they see that you're giving away a freebie, it makes them wonder why you would do this. After all, you have no reason to be nice to them, you've never even met them! And this, my friend, is the feeling you want to chase when you create a lead magnet - the curiosity that makes your new subscribers eager to see what you'll do next. Of course, your welcome sequence that follows is another crucial element to keeping your subscribers around, and we'll discuss that in a future post, but let's first put in place an amazing lead magnet, that will not only bring in new subscribers, but get them invested in what you'll say next! Okay we all know that there is no such thing as a perfect lead magnet, because everyone needs slightly different things and it is virtually impossible for one little document or sample to solve an infinite number of problems. Besides, 'perfection' is a social construct that will always be impossible to achieve, but that's yet another post for another day. 1. What is the biggest problem my follower-base is currently facing? 2. How much time does my audience have, to spend over solving this problem? Of course, these are very heavy questions and they definitely require some thorough follower-research before-hand. However, if audience research isn't your strongest suit, just go out and ask them! There are a thousand different ways to poll your audience, and most of them take nothing more than maybe five minutes to create. Once you have the answers to these questions, think about ways your freebie can incorporate these answers. Do your followers have time enough in their day to work through a seven-page workbook? Would they be better served by a checklist, or a simple infographic? How about a series of e-mails around the topic? Still not sure where to begin? Here's your Lead Magnet! I've put together a FREE list of FIFTY LEAD MAGNET IDEAS that work for a variety of genres! Now I've also divided them into categories of content they best fit, but you can totally use each idea as you like. Like I said, there is no perfect lead magnet, just ones that work best for your audience. 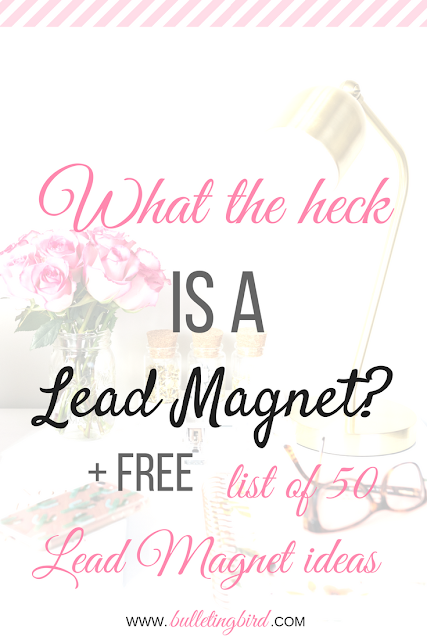 Fill up the form below, and grab your FREE LIST OF 50 LEAD MAGNET IDEAS right now! If you love this post, please take a second to share it with your folks, cause I want this freebie to help as many people as possible! Need more ways to show your audience some love this Valentine's Day? Listen to EPISODE 3 of Solid Gold, Baby, where we discuss all about spreading the love! Got a content request? Leave it in this box! Thank you so much for reading, and remember, your followers love seeing new content from you. Don't settle for less than you really want to share! 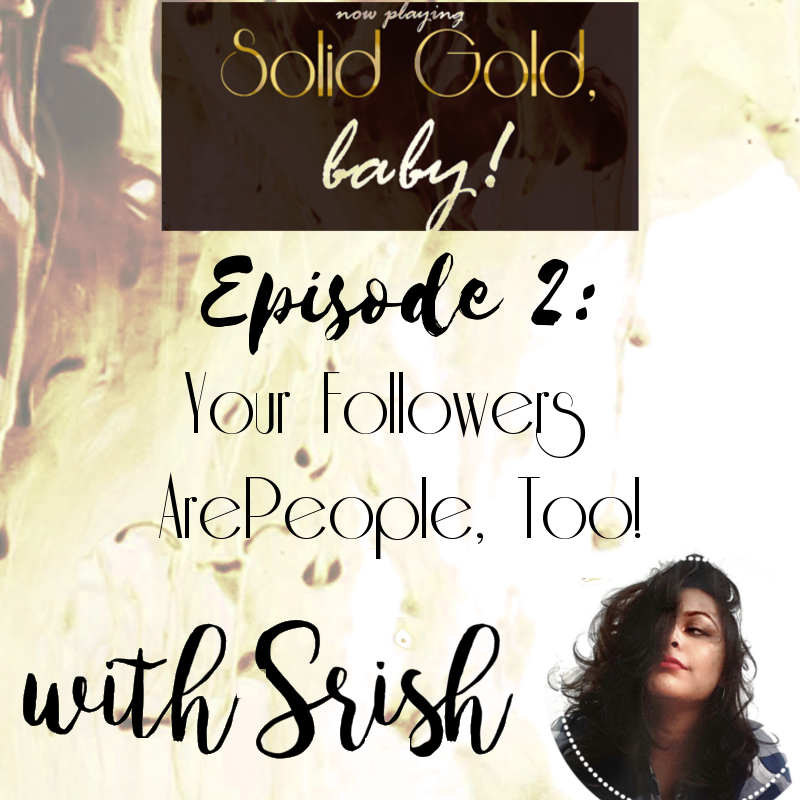 Solid Gold, Baby: Minisode 2 - Your Followers Are People, Too! There is now a whole new format for the show (I know, it's far too early for there to have been an old format, but this is a good time to experiment!). I've created a single $1 or more Patron tier, which gives you access to everything, and starting with episode 3, full-length episodes will be 30-minutes long each. So ALL Patrons get access to ALL full-length episodes and ALL of the freebies for $1 a month! For the time being, I've made full length versions of both, episodes 1 and 2 available to all Patrons who pledge $1 a month or more (getting rid of the $5 tier! ), so if you haven't already, go get your hands on the full length episodes NOW! Alright I'm gonna be honest here, I didn't think I'd live through the anxiety and cringe of publishing episode one, let alone creating and publishing episode two, but hey, here we are, 100% surviving! In our second episode, I talk you through the very crucial shift in mindset that will help you run your brand and/or business in a more service-oriented, heart-centered and authentic way. A lot of times we forget that our followers aren't just numbers on a screen, but actual people with real feelings. Today, we explore why this is such a damaging approach, and how we can go about changing it. Check out the mini-sode below or at this link, and grab the full-length version of this and the first episode (i.e. 2 hours of content! ), plus every episode that comes out in the future, for just $1 a month! Love it? Thinks it needs improvement? Leave me a comment below and let me know! Plus, I'm always open to requests so drop me a line on Instagram, Twitter, Facebook or via e-mail, and I'll do my best to talk all about it! As always, thank you SO much for spending some time with me today, I really appreciate it!